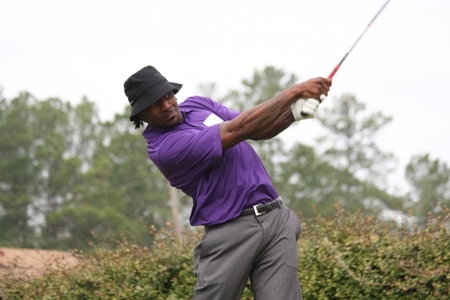 The first Rip Powell Invitational Golf Tournament netted more than $11,000. 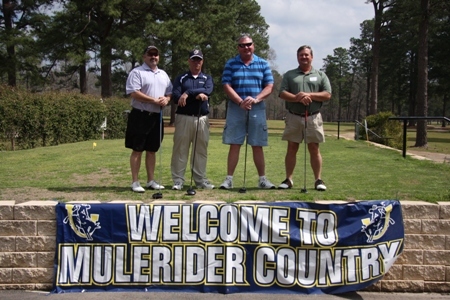 Approximately 60 golfers participated in the tournament held on March 17th at the Magnolia Country Club. The funds raised from the event will benefit the Rip Powell Society, which is an effort to name the current Mulerider Football Field in honor of Coach Powell. Over 90 players and guests at the luncheon enjoyed a video presentation portraying highlights of Coach Powell’s career. 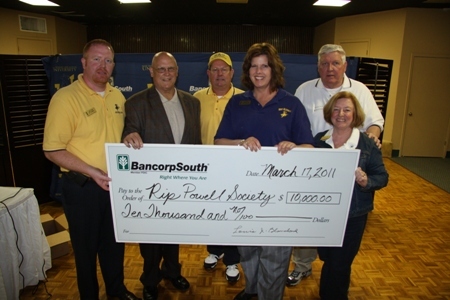 Shown above are tournament committee members presenting a check to Jay Adcox, SAU Athletic Director. 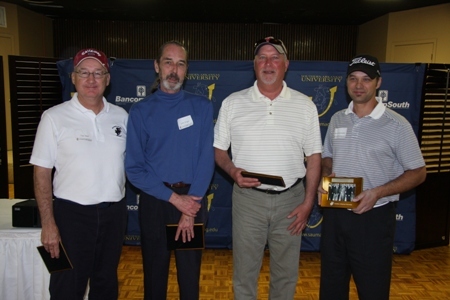 The Gold Flight was won by the team of Tom Hall, John Unger, David Heid, and Jason Eppinette with a score of 62. 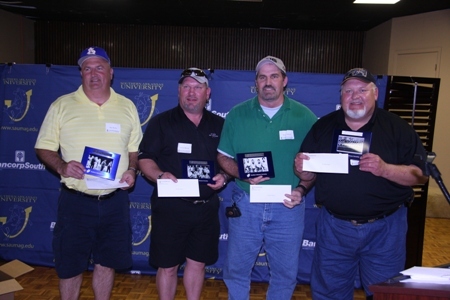 The Blue Flight winners were Rex Burks, Victor Bishop, Steve White, and Johnny Vickers with a 65. The Red-shirt Flight was won by Steve Miller, Shane Mayfield, Buddy Kyle, and Randy Franks. 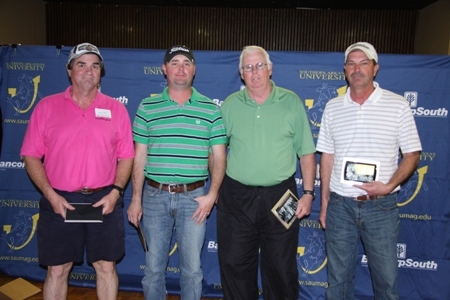 The coveted Gold Ball award went to the team of Steve Dingman, Leonard Biddle, Jeff Jester, and Jim Thomas. 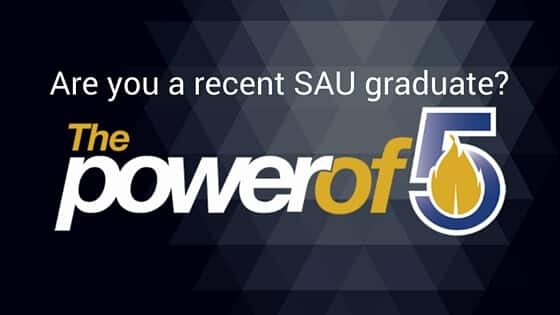 Seattle Seahawks defensive back, Jordan Babineaux joined other SAU alumni and friends for this event.